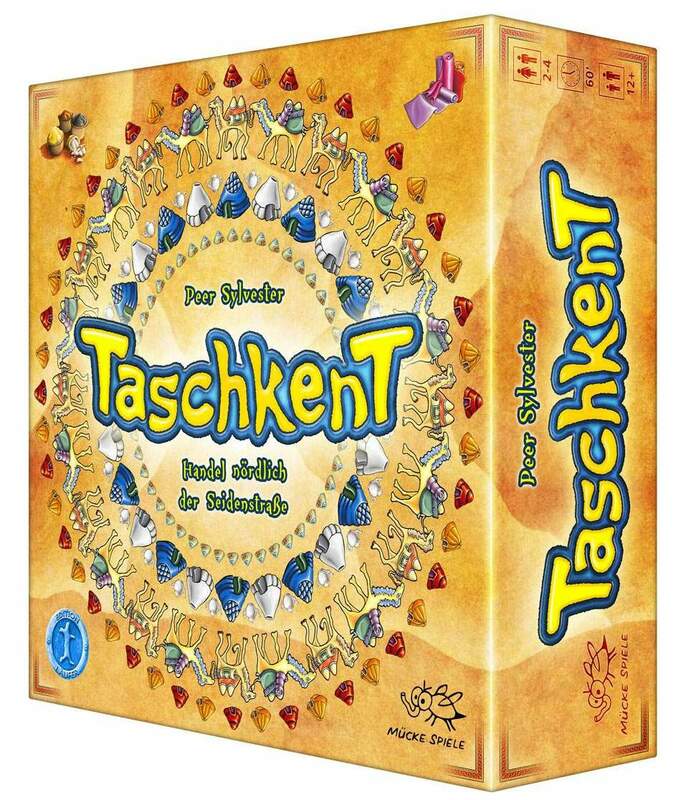 In Taschkent 2-4 players are traveling with a caravan along the Silk Road in order to trade goods into gold or other commodities at trading posts. In the action rounds, the duration of which is random, players can build huts or trading posts at costs depending on the existing trade items. Alternatively, the players in the caravan can get money, goods, action cards or the necessary materials for new trading posts, as well as secure the starting player position for the next round. In the following trading rounds, goods may be exchanged in the trading posts if they are in demand there. For his goods, a player receives either gold or other commodities, the composition of which determines the outcome of the game.